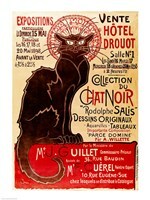 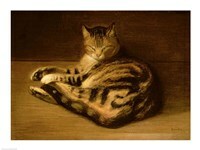 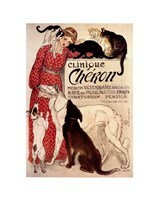 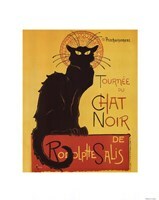 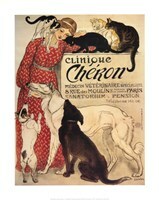 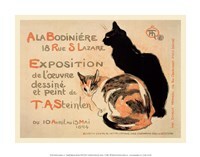 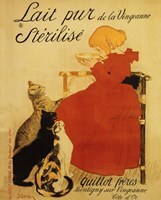 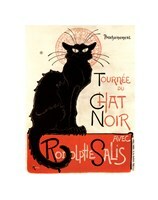 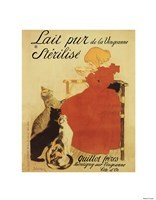 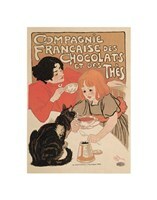 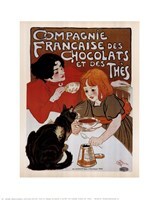 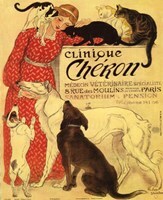 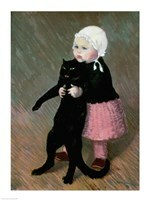 Today print lovers enjoy the vintage flavor Steinlen's work offers to any room. 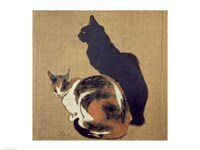 The stylized graphics and decorative costumes of the figures in his prints add a touch of nostalgia to a wall. 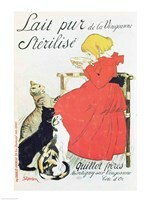 Grouped along with the prints of Cheret and Toulouse-Lautrec, you can give a room the feeling of a Parisian cafe easily. 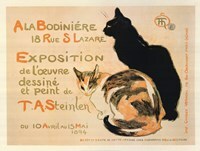 Steinlen often used his wife, child, and family cats as models to create images with a certain intimacy, which differ from fellow illustrator Toulouse-Lautrec's cold, harsh depictions of cabaret life. 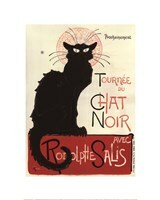 Steinlen's illustrations have a personal, intimate style that evince a concern for humanitarian issues. 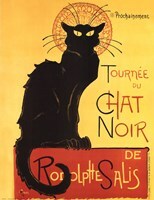 Born in Switzerland Steinlen studied philosophy at the University of Lausanne, which engendered an interest in socialist causes. 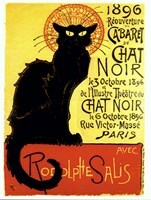 The artist moved to Paris in 1881 and was introduced to the avant-garde literary and artistic world of the Chat Noir cabaret. 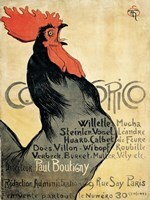 There he mingled with the illustrator Adolphe Willete, the singer/songwriter Aristide Bruant, and the idiosynchratic Toulouse-Lautrec. 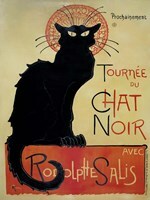 The influence of his peers can be clearly seen in the subject matter as well as the style of his artwork.